The new *E-Series: How to Beat Your Competition Selling Real Estate to Foreign Buyers* has been started on Amazon. The E-Series will eventually summarize All-One-Has-to-Know to successfully market and sell real estate to international buyers. Each e-book centers on a particular aspect of marketing and selling properties to international buyers. All of the already published books of the E-Series are on Olga Kellen’s Amazon Author’s Page: http://www.amazon.com/author/olgakellen and the new ones will be added in the near future. Book 1. 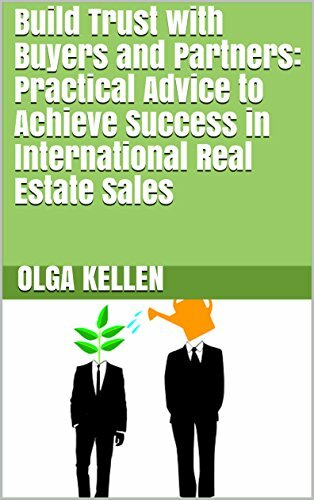 *How to Find the Best Foreign Realtors and Make Your Offer of Cooperation in Sale Irresistible to Them* is a complete guide for marketing and selling international properties with the help of foreign realtors. Book 2. *How to Efficiently Advertise Your Property for Sale Internationally* is about the option of selling properties by marketing directly to potential foreign buyers and conveys the best cost-effective ways of direct advertising to the general buying public in a foreign country where one wants to find a buyer for their property. Book 3. 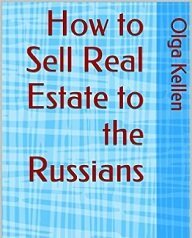 *How to Sell Real Estate to the Russians* is the expert advice for realtors, developers and private property sellers from all over the world who are looking specifically for the Russian buyers to broaden their buying pool and thus improve their real estate sales. Book 4. 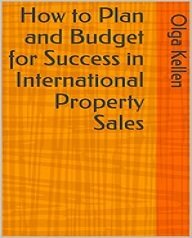 *How to Plan and Budget for Success in International Property Sales* is about creating the most cost-effective marketing plan based on any marketing budget for any property for sale to the foreign real estate buyers. Book 5. 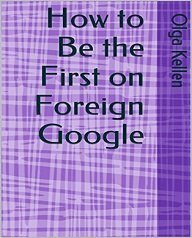 *How to Be the First on Foreign Google* is about attracting foreign visitors to your property online - the more the better. It covers the basics, educates in major tools, and gives general ideas on bringing the visitors to your selling real estate to foreign buyers website. Book 6. 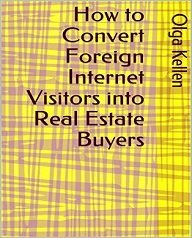 *How to Convert Foreign Internet Visitors into Buyers* is about the art and science of converting online visitors into buyers. Book 7. 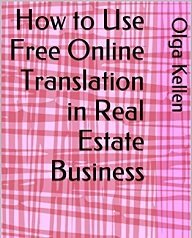 *How to Use Free Online Translation in Real Estate Business* is a complete practical guide to the translation of your foreign marketing websites, listings, brochures and correspondence; also to interpreting for your foreign real estate buyers and ways to save on translation services (including the proper use of the free online tools) without losing the quality. Book 8. 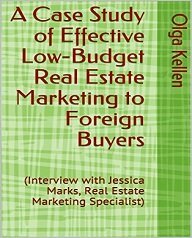 A Case Study of Effective Low-Budget Real Estate Marketing to Foreign Buyers : (Interview with Jessica Marks, Real Estate Marketing Specialist) is the real life story of using the methods explained in Book 1 to market properties internationally. Book 9. 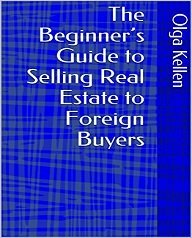 The Beginner's Guide to Selling Real Estate to Foreign Buyers is a road map to the already published information in 8 previous books and also includes some practical tips on the topics covered in all the books. Book 10. 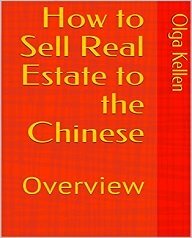 How to Sell Real Estate to the Chinese : Overview is a practical guide to finding the Chinese buyers for realtors, developers and private property sellers based on many expert sources. The e-book Build Trust with Buyers and Partners: Practical Advice to Achieve Success in International Real Estate Sales is a Quintessence of how to sell real estate to international buyers. In a nutshell: Establish trust with your potential overseas buyers (and foreign realtors if you want to involve them), and your international real estate sales will flourish. 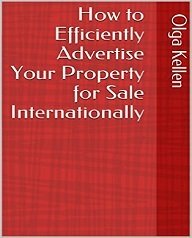 More books on the topic of international real estate sales will be added in the near future to the *Amazon E-Series: How to Beat Your Competition Selling Real Estate to Foreign Buyers* at http://www.amazon.com/author/olgakellen . One can read these Amazon Kindle e-books on any device (laptop, desktop, iPhone, iPad, etc.) with a free Kindle application that can be downloaded from Amazon for any and all types of devices.